Did you know you can save money with a factory direct countertops company in Tampa Bay? Have you ever walked into any kitchen and admired the countertop but you thought you could not afford it? When you look up the prices of countertops online, you are likely to see a large range of prices. As of today, top countertops material available includes granite, marble, and quartz. Most of these countertops come at high prices depending on the vendor. Of course, these vendors purchase from countertop fabricators and will have to add their fee to profit from reselling the countertops to you. In most cases, a lot of people has been able to save money by investing in factory direct countertops in Tampa Bay. 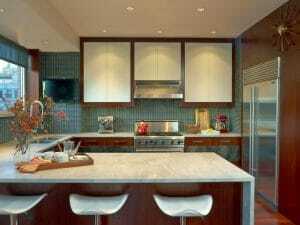 This is the best solution if want to purchase quality countertops at affordable prices. Let’s say you are remodeling or building a new home; you can be able to save a lot of money and get high-quality countertops when you choose factory direct countertops. In this article, you will learn about everything you need to know about factory direct countertops and how you can easily get it. 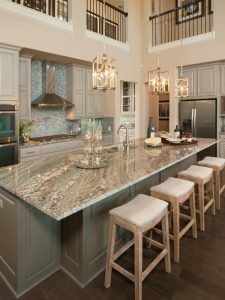 What Are Factory Direct Countertops in Tampa Bay? Factory direct countertops mean the countertops you purchase directly from the fabricators and installer. When you choose to deal directly with countertop fabricators, you can significantly reduce the price you pay. In most cases, people purchase their countertops from home improvement stores or contractors. The only problem with this is that these people are resellers and will always markup their prices to make more profit. Moreover, it is always hard to know which vendor to trust when you are buying your countertops materials from home improvements stores. What this means is your chances of getting poor quality countertop materials are high when you are dealing with home improvement stores and contractors instead of fabricators. When you buy directly from countertop fabricators, you will be able to cut out middlemen; this will significantly reduce the cost of your new countertops. When you are buying from contractors or home improvement stores, these vendors usually mark up the price. This means you will pay higher prices then what you need to pay. If you want to save money when you are investing in countertops, you should focus on dealing with the fabricators only. Countertop fabricators spend a lot of money in setting up their company. They have a reputation to protect. When you want a better quality countertop, you will need to make your purchase directly from fabricators instead of middlemen. They will ensure you get the best quality materials and craftsmanship to get referrals and good reviews. Dealing with countertop fabricators in Tampa Bay direct will also help avoid miscommunication with your project. When you visit a countertop fabricator for your factory direct countertops, you will have an opportunity to select from a variety of countertop materials. Most fabricators have a wide array of countertop materials and colors to choose from. When you visit them, you can be able to take a closer look and get a good look at these countertop materials. You can then compare them to know which one is best for your home or for the project you have in mind. Perhaps, one of the most important benefits of dealing directly with countertop fabricators is that you will get expert advice. These people are in the best position to give you advice on which countertop material you should use for your project. They can help answer questions you may have and give you direction to ensure a successful project with no bad surprises. If you are looking for true expert advice when you want to buy countertop, make sure you talk with the fabricators. countertops. Next time you have home improvement project, avoid middlemen such as home improvement stores and contractors, get factory direct countertops. If you’re looking for countertops in Tampa Bay, then contact us at Tampa Bay Marble & Granite. We are a factory direct countertop company that cuts out middlemen and provide the best value in the area. We offer a free consultation and no cost estimate through our website. Contact us today and save on your countertops.